In youth, Wernher von Braun became fascinated with rocketry and in the 1930s studied the subject under a grant from the German military. By the mid 1930s, Braun was directing rocket research for the German government and during World War II developed the V-2 long-range ballistic missile, which was used against London and other targets. After the war, Braun surrendered to U.S. troops, and despite his Nazi affiliations, was allowed to immigrate to the United States, where he became chief of the U.S. Army ballistic missile program. Later, he was named director of the NASA George C. Marshall Space Flight Center in Huntsville, Alabama. 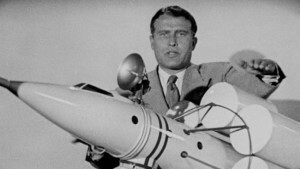 Braun directed much of the early U.S. space program, specializing in the development of booster systems, including the one that sent American astronauts to the moon.